"Just that you people who are involved in advocacy, keep up the work. I have seen changes come about because of people becoming involved. It is these who are the real heroes in all this. Without advocacy, changes will not come about within the present system." As the southeastern region and our nation at large continue to wrestle with the opioid addiction and overdose epidemic, it is critical that all of us, patients, providers, family, and friends alike, unite as advocates for evidence-based, proven effective medical treatments for opioid addiction. The science and research is clear. 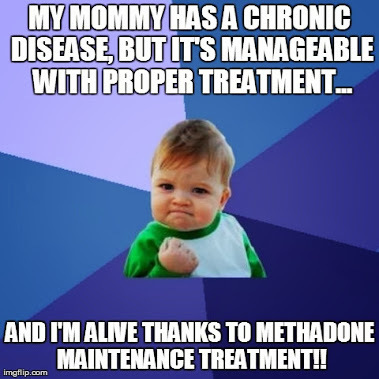 Methadone maintenance treatment stands alone as the most evidence based and scientifically proven treatment in all of medicine, yet this life-saving and life-restoring treatment remains one of the most misunderstood, stigmatized, and controversial medical treatments. Knowing the facts and being able to relay the proven truths about medication assisted treatment is an extremely important way we can advocate, but facts and data alone are not enough. The 180-degree turn that opponents and skeptics of methadone and buprenorphine treatment need won’t be due to data alone. We all must be advocates and proclaimers of the truth through our very lives. I often call on patients who are stable in treatment and living in long term recovery and that are maintained on methadone to come out of the “methadone closet” and tell the world how their recovery has been made possible. This isn’t to spite the anti-MAT or revel in drama, but because as society meets people on long-term maintenance they begin to realize that we are their friends, family, and neighbors. We sit beside them at church on Sunday, ride the same bus, and volunteer with them at the campaign headquarters every four years. Methadone and buprenorphine patients are doctors, lawyers, ministers, and professors. We are contributing members of society. The vast majority of productive, contributing members of society who also happen to be individuals living in long term recovery maintained on methadone remain hidden due to the fear of stigma and judgment. Too often those of us who are the most vocal about being methadone patients don’t live lives that represent the best of what this treatment can offer. What we do matters in the fight against stigma as much as, and possibly more than, what we say and the facts we can cite. 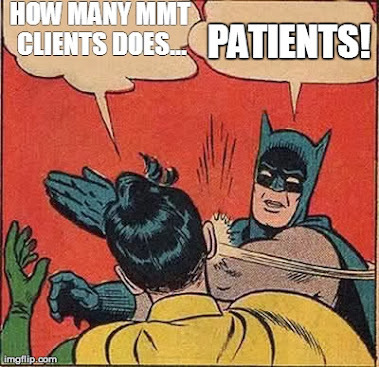 I would truly like to know what the anti-MAT could say to me or the millions of others across the globe now quietly working and living productive and full lives on maintenance. While it’s certainly possible for people battling opioid addiction to recover and do well without maintenance, there is absolutely no need to stigmatize the treatment for those for whom it works. For many of us this was the last hope at normalcy and fullness of life. But all of us, patients and providers alike, are called to live lives that shine the light of truth on this modality. Patients must remember that our actions are watched and scrutinized by many people looking for anything negative they can blame on this treatment, and we have to fight that mentality by being shining examples of the best of society. The unfortunate reality is that roughly 10% of patients who are involved in questionable activities and not leading lives befitting role models create 99% of the negative headlines about MAT. Providers of MAT must remember that this treatment was originally born out of a labor of love by Drs. Dole, Nyswander and Kreek and, as Dr. Kreek said this past AATOD Conference, “it’s about the love and care of patients” above all else. If we are to have any hope of turning the opioid addiction and overdose epidemic that is plaguing our nation around then we must shine a light on the truth about the most evidence-based and proven effective medical treatment available for this chronic disease. Different approaches offer hope to different people, and one size does not fit all. But the overwhelming stigma and misinformation that plagues medication assisted treatment is an affront to hope, and we all are called to be advocates for the truth. 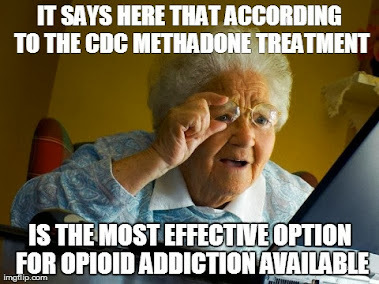 Do you know the facts, data, and research to engage others in thoughtful dialogue concerning the science of opioid addiction and medication assisted treatments with methadone and buprenorphine? And if you know the information crucial to explaining the realities of this treatment, are you living a life that shines a positive light on this modality at the same time? There are two ways that “Together we can make a difference”: Through knowing the evidence base and through living it and showing it through our lives. Our lives might be the only science and research many people ever know. This two part column was originally written for , the Quarterly Newsletter of 'Opioid Treatment Providers of Georgia' (OTPG), the Georgia State Chapter of the American Association for the Treatment of Opioid Dependence, Inc. (AATOD), with Part 1 of 2 originally appearing in the October 2013 edition. Part 2 of 2 was published in the January 2014 edition. To view Part 1 of 2 via the web click HERE.